Lunar Rogue » We Won!!! ← Going to the Finals!!! 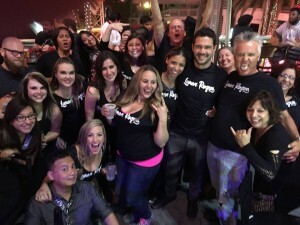 We participated in Howl at the Moon’s Battle of the Bands with 30-something other bands… we won!!! So excited! It was an awesome crowd who fed us nothing but great energy all night! The competition was definitely competition. They rocked it. It was a super fun series of shows!!! We are so grateful for our amazing family/friends/fans! !